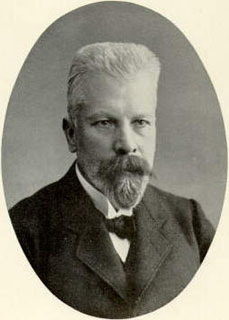 German chemist Eduard Buchner worked at a preserving and canning facility to earn his college tuition, and then spent several years as Adolf von Baeyer's assistant, and studied the rupture of yeast cells. He conducted baseline research into the chemistry of diazoalkanes, and in 1889 he became the first chemist to successfully synthesize pyrazole, a heterocyclic organic compound containing three carbon and two nitrogen atoms, using a process still called the Buchner reaction. His brother, Hans Buchner (1850-1902), was a physician who conducted important early research into gamma globulins, blood proteins that can destroy bacteria. Assisting in his brother's research by preserving protein extract from yeast cells, Eduard Buchner made his most well-known discovery in 1897. He added sugar to the protein extract, believing that this might aid in preservation, as it did in a sugar crystallization technique he had first seen making marmalade at the canning factory years earlier. Instead the protein extract and sugar mixture started bubbling as the sugar was transformed into alcohol by a process now called glycolysis. This finding, confirmed and expanded through subsequent experiments, helped challenge and eventually refute Louis Pasteur's theory that like growth, reproduction, and respiration, fermentation could only occur in living cells. Instead it supported Justus Liebig's opposing belief that certain biochemical reactions could occur outside living cells. With his brother Buchner discovered zymase, a complex of enzymes that cause glycolysis, in 1903. His accidental discovery of cell-free fermentation earned Buchner the Nobel Prize in Chemistry in 1907, and helped establish the new science of biochemistry. With the advent of World War I, Buchner was drafted into the German Army and assigned to a military hospital near Focşani on the Romanian front, about 20 kilometers north of Bucharest. He was mortally wounded by a grenade attack on 3 August 1917, and succumbed to his injuries at the same hospital nine days later.